Sens. Ron Johnson, Ted Cruz and Mike Lee made clear during a closed-door GOP meeting Tuesday that they're not ready to support the party's health care bill. One aide said the three threatened to vote no -- Johnson because of process concerns, Lee and Cruz because of policy concerns -- though other aides and lawmakers said the senators were vocally frustrated, but didn't go as far as making serious threats. "I don't think a lot of people are at yes right now," Sen. John Thune said after the meeting. "I wouldn't characterize it as there were any, like, ultimatums. But there were concerns being voiced both with respect to substance and process, and that's kind of a natural part of the conversation. I mean, we're trying to work through both of those issues to get to, hopefully, a vote next week on a bill that we can all be for." Why this matters: Details about the health care bill are finally starting to emerge, forcing senators to say where they stand — and many don't seem happy with what's being presented. One aide who attended Wednesday's working-group meeting described it as "testy"; another said "there was a lot of brio in the room." The meeting focused on waivers from certain Affordable Care Act regulations, as well as other market reforms. The waivers wouldn't explicitly touch regulations protecting people with pre-existing conditions, and even those more limited waiver provisions will likely be removed from the bill next week if the Senate parliamentarian says they don't comply with the rules for the reconciliation process. Losing that part of the bill would be a big loss for conservatives. "I don't think Sen Lee said anything he hasn't said before. Everyone knows he is not going to vote for a bill that he thinks is bad policy, but he did not make any new explicit 'threat,'" Lee spokesman Conn Carroll said. 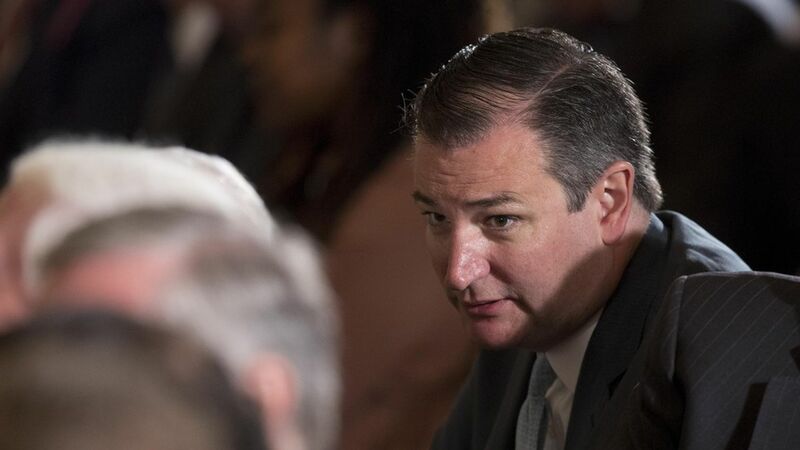 One of the aides present at the meeting said Cruz "made it clear he wants to be yes and that his requests are pretty reasonable. Almost all GOP members would agree with him. "Spokespeople for Johnson and Cruz did not respond to a request for comment.